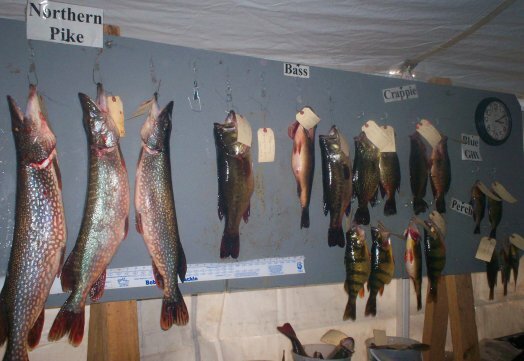 The BPCA held its 48th annual ice fishing derby on Saturday, February 2, 2008. Derby headquarters for registration, prizes, games, refreshments, food, and fun was once again the big heated tent pitched on the grounds of Red Pines Resort (formerly Red Sails), along the north shore of Lake Onalaska, just off County Highway Z on Brice Prairie. 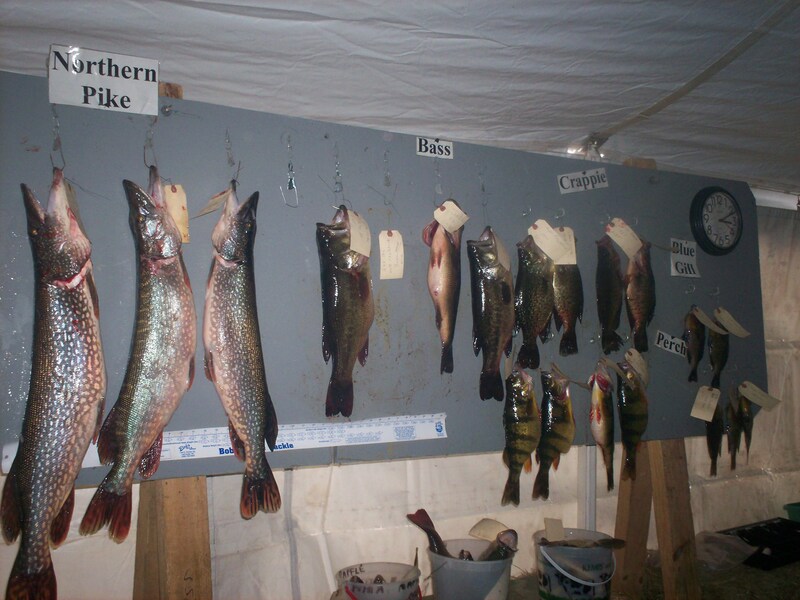 The ice fishing derby is an important fundraising event for the BPCA, with proceeds being used for BPCA conservation and community projects. In addition, it provides a pleasant social and community activity. Entry fees for prizes are $1 for adults or 50 cents for kids. Derby fishing started at sunrise and closed at 3:00pm. Prizes for the top four fish in each category were: $25, $15, $10, and $5.